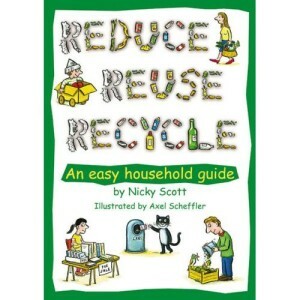 I love how Nicky Scott’s primer on making your everyday life greener certainly keeps it real. “This book will help you think about the contents of your garbage can in a new light,” he starts off. 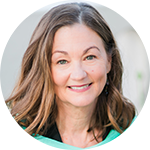 The weekly routine of putting whatever we don”t want into the trash and having it carted off by the garbage truck is so ingrained we forget to question it, or to wonder how it has changed over the years. Fifty years ago, the author points out, that garbage can contained virtually no plastic. A third of the modern garbage can contains material that should be composted, another third cardboard and paper that could be composted or recycled. Scott also wants us to connect the dots between our garbage can and our shopping cart. He urges us to pause before buying something and wonder things like: Where does this product come from? How many miles has it traveled? Will it last? Can I recycle it? Reduce, Reuse, Recycle is one of the top A to Z living green books, complete with information on household products buying alternatives, and on recycling or responsible disposal.